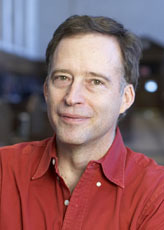 Mark Broadie is the Carson Family Professor of Business at Columbia University and the Research Director for the Program for Financial Studies. Professor Broadie teaches courses to MBA and Doctoral students on topics including, but not limited to, securities pricing, financial modeling, risk management, financial markets and computational finance. He is also the Vice Chairman of the Enterprise Risk Management Institute and sits on the advisory boards of several companies. Professor Broadie is an expert in derivatives markets, the pricing of complex securities, risk management, and financial modeling. He has published numerous articles on these and other topics in leading finance and economic journals such as the Journal of Finance, Review of Financial Studies, Journal of Financial & Quantitative Analysis, Operations Research and Management Science. He serves on the editorial board of several journals, including Finance and Stochastics, SIAM Journal on Financial Mathematics, and Operations Research. Professor Broadie often presents at conferences and industry workshops on quantitative methods in finance and risk management. He has received prestigious grants from institutions such as the National Science Foundation, JP Morgan, Credit Suisse, Intel Corporation, and others. Professor Broadie is also an award-winning teacher, having been recognized with the Columbia University Dean’s Award for Teaching Excellence and Dean’s Award for Innovation in the Curriculum. In addition to his academic pursuits, Professor Broadie provides independent consulting services to firms in the financial and software industries. He provides consulting advice for a major golf equipment manufacturer on the use of simulation and statistical analysis, and expert witness services to law firms nationwide. He has written expert reports and has provided oral testimony at arbitration, deposition and trial.